Strap, tassel, and ruching detail come together to make the Eton the boot of the season. 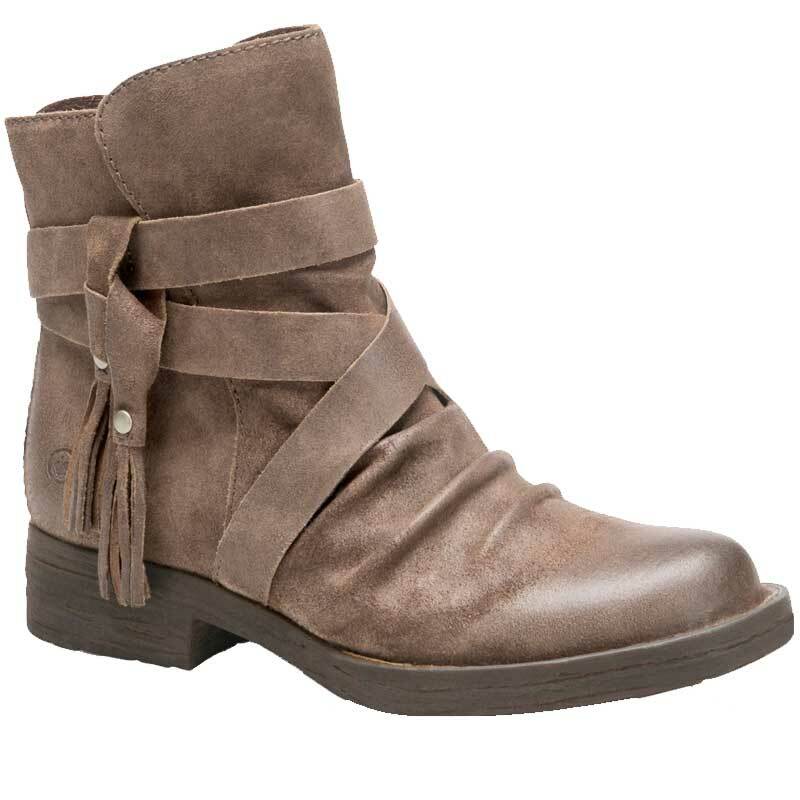 This women’s bootie has an upper made of distressed suede leather with a side zipper for on/off ease. A leather and fabric lining offers interior comfort and a microfiber-covered latex insole provides instant comfort and support. With a steel shank for stability and a rubber outsole for traction, the Born Eton will keep you walking confidently and Opanka Construction ensures a durable yet flexible bond. With charming detail and plenty of comfort, the Born Eton will become your new favorite. I am so excited that I found a pair of boots with enough toe space for me and comfortable along with great style!